Cats' eyes are most often shades of yellow or green. Purebred cats often have deeper green or copper-colored eyes. Less common are blue-eyed cats. Cats with certain coat-color genes, particularly those with genes for recessive white or color-pointed coat patterns, are more likely to have blue eyes. Cats with a light body color and darker-colored paws, face and tail are called "pointed" cats. Pointed cats always have blue eyes because, genetically, they are part of the recessive white/albino spectrum of colors. 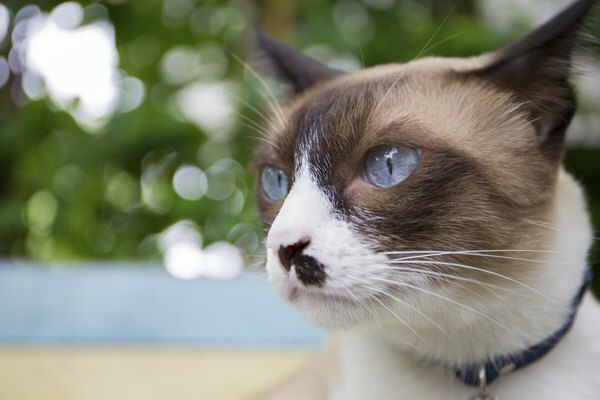 Siamese cats are always pointed, and this is the only breed that will always have blue eyes. Within the breed, there are variations in eye color. 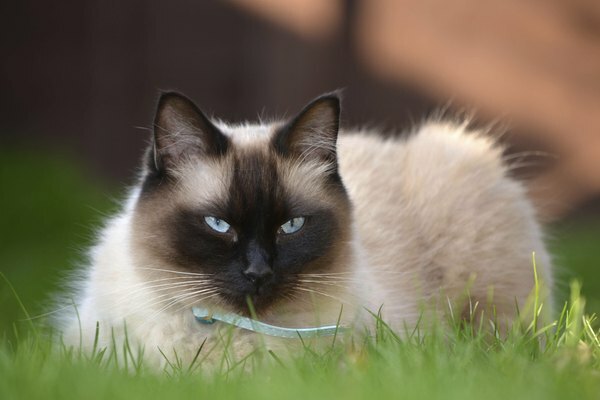 For example, the eyes of a Seal Point Siamese can be a deep blue shade while those of a Lilac Point Siamese usually are a paler, grayer shade of blue. Cats with completely white coats often will have blue eyes. 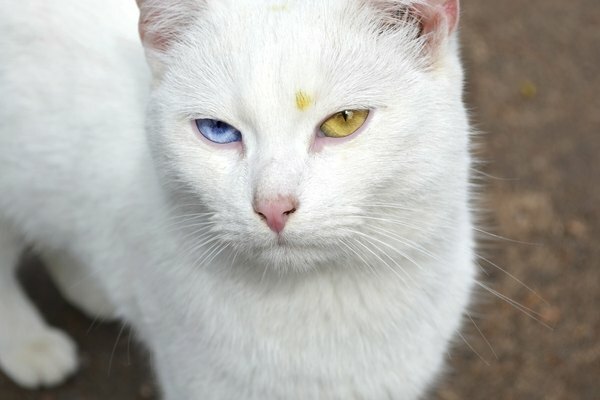 A cat with dominant white coat-color genes may have either blue or orange eyes, while an albino cat may have either blue or pink eyes. 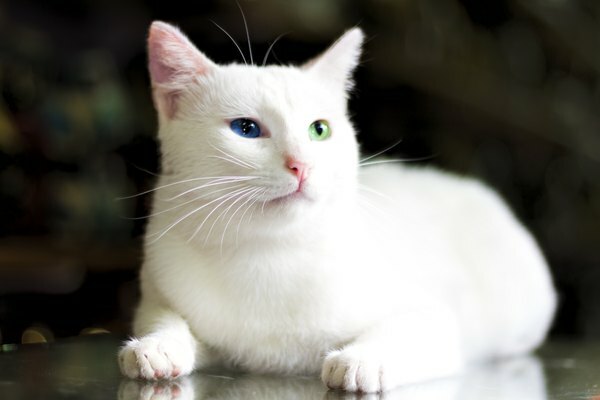 In some cases, a completely white cat will have the white spotting gene (see below), resulting in "odd eyes" (one blue and one gold or green). A cat with the white spotting gene can have blue eyes, or in some cases odd eyes. When the white spotting gene affects both eyes, the cat will have blue eyes; when the gene affects only one eye, the cat will have odd eyes. 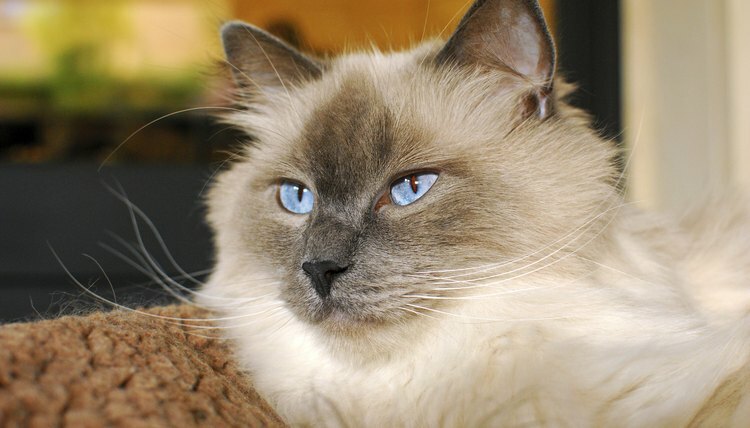 Cats with blue eyes sometimes will be visually or hearing-impaired. A study at Vanderbilt University found that Siamese cats frequently had less sharp vision than other cats, which corresponded to the lower levels of pigment in their eye color. For this reason, Siamese cats tend to be less active at night. Cats with the dominant white or white spotting gene may suffer from genetic deafness. In a cat with the white spotting gene, deafness usually occurs in the ear(s) affected by the spotting. Because of this, a cat with odd eyes may be deaf in the ear that's on the same side of its head as its blue eye.